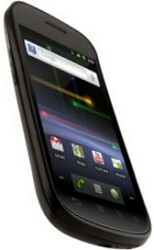 Find cheap contract deals with the latest Google mobile phones and save yourself some money. By comparing Google contract phone deals online you could save yourself a great deal of cash even on a short term 12 month contract. We offer you some of the best deals available online; we have deals for all contract length including 24 month contracts and deals with amazing free gifts to be had. Simply choose your Google handset, your preferred network and any extra bonuses such as unlimited text, unlimited minutes and unlimited data and search for that deal that suits you. Here are our top selling networks for Google phones. If you are looking to get a great deal on a Google phone but want to choose your network first then click below to compare deals. We compare deals for the latest Google phones across all major networks such as Three Mobile, Orange, O2, T-Mobile, Virgin mobile, and Talk Mobile. Find the latest Google phone on the Orange UK network. Get some of our cheapest deals on phones like the Google nexus on Orange. If you are looking for a Google phone on O2 and need to find the best deal than compare our deals right here. Find Google phones on O2 with unlimited minutes, text and data. T-Mobile offer great deals across Googles range of mobile phones and is rapidly growing it market share. this is mainly due to there competitive pricing stratergy. Three Mobile offer a great range of benerfits as a network. With there strong 3G coverage Three mobile is a great network to combine with a Google mobile. You would be hard pressed to meet an individual who has never heard of Google before. Anyone who has ever had the privilege to access the internet is sure to be familiar with the juggernaut of a search engine that is Google. What many do not know, however, is that the talent at Google is responsible for numerous technologies in a variety of sectors. From self driving cars to web browsers, Google is willing to try its hand at nearly anything. Today Google is even producing it own mobile phones and mobile operating system. The latest, most popular venture of the Google Company is the android mobile phone operating system. The Android OS has been very well received, achieving both financial and critical success. Part of the reason for Google’s widespread success, is the philosophy behind every decision made at the company. On their website, you can find the ten core principles of their organization, but there are a few worth noting that really stand out. The very first principle is to focus on the user, and all else will follow. Never has there been a company whose top priority is to serve you, rather than some abstract corporate agenda. Every aspect of any of Google’s projects is tailored in a way that is optimally of service to you, the user. Google is an unrecognized leader in creating a completely connected society. Another principle of theirs is that information needs to cross all borders, meaning that everyone on this planet deserves to have access to the infinite amount of information that is out there. All the while, the company is perfecting what it already does so well; using the power of search. By constantly looking for new applications of the ideology behind their search engine, Google is bringing new levels of innovation to the most unexpected places, and is reshaping the way we look at the world and approach problems.